How's the Pesach/Passover & Spring cleaning going for all of you? It's going really well for me considering I live in a small apartment at the moment and have plans to be with family for most of the holiday. My favorite part of the whole Spring cleaning is putting away the warmer winter layers and sweaters and pulling out some of the lighter warm weather clothing. Donating items that I don't care for anymore and re-organizing the closets are quite the tedious task and takes alot of my time but I love it doing it just the same. Either way it's been taking up my evenings so a quick and easy salad to throw together along with dinner is always a welcome site. With one week to Pesach you will surely want to have an easy dish option to serve with your dinners over the coming week. The really fantastic thing about it is that it can easily be packed up for lunch or eaten on the go with all the busy scrubbing and cooking going on. 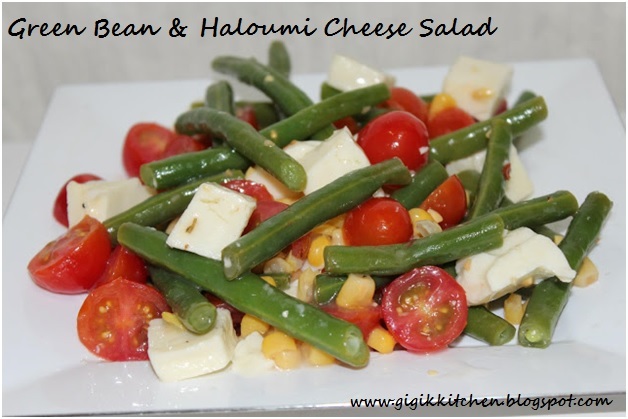 Haloumi cheese originates from Bulgaria.One of my favorite local kosher dairy restaurants makes a sick haloumi salad that's what inspired me to put this together. It is one yummy and easy side dish to prepare so I want to share my recipe for it with you right now. 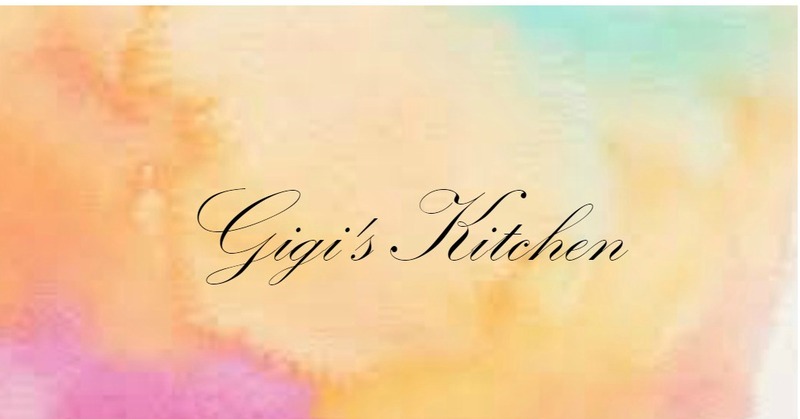 Also, I just want to mention that I'm seriously considering taping some videos of my cooking and recipes as well as beauty and fashion themed ones that relate to my blog topics and uploading them to YouTube. I'm a little shy but I love watching YouTube videos and I think that just as they are helpful to me and interesting to me, mine could be the same for others. So what do you think? Should I? Would you watch my YouTube videos? Would you subscribe? Let me know in the comments form below- I'd love to hear your opinions. I most likely will begin with it after Pesach. But we'll see. 1. Trim the green beans, removing the ends. To trim them quickly you will want to take a bunch of green beans and line them up at the ends. Then, using a chef's knife, slice the tips off several at a time. Then place the trimmed and washed beans in a small sauce pan. Cover them with water and add a little salt to the pan. Put the sauce pan on the stove top and bring up a medium flame below it. Bring the water to a boil and cook uncovered for 6-10 minutes or until they are crisp but tender. Then drain them and rinse them with cold water to stop them from cooking. 2. Place the beans in a large salad bowl. Add the sliced cherry tomatoes, corn and cubed haloumi cheese to the beans in the bowl. Then add the salad dressing, basil, salt and pepper. Toss to coat. Cover and refrigerate for about an hour before serving. Good luck with the rest of the Pesach / Spring cleaning y'all!